Historic buildings represent a large share of the existing building stock. They are the trademark of numerous cities, and they will only survive if maintained as a living space. In order to preserve this heritage, we need to find conservation compatible energy retrofit approaches and solutions, which allow maintaining the historic and aesthetic values while increasing comfort, lowering energy bills and minimizing environmental impact. In the last 10 years a shift in paradigm could be observed: While in times of the first EPBD, a strong opposition from conservators and architects could be observed – “don’t touch these buildings” – there is growing a new openness, a much more constructive approach – “let’s find the right solutions together”. Now is an important moment to identify and promote good approaches and solutions. 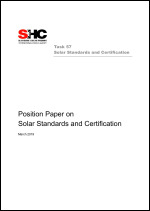 The purpose of this paper is to illustrate the relevance and importance of standardization and certification in the field of solar thermal products – and to show the benefits of harmonizing standardization and certification at the international level. Portugal has one of the highest solar energy resources in Europe, but the solar thermal market in Portugal is not in line with this fact as can be seen in the most recent publication of the IEA SHC’s Solar Heat Worldwide (see Figure 2). Portugal’s cumulated installed capacity is lower than in other European countries with much lower solar resources. 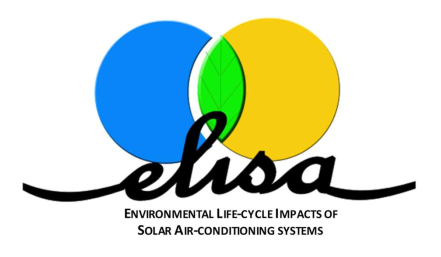 The IEA SHC Programme concluded its work on New Generation Solar Cooling & Heating Systems (Task 53) earlier this year and is now finalizing the last reports. 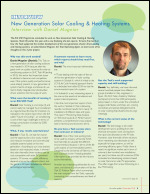 To learn first-hand on how the Task supported the market development of the next generation of solar driven cooling and heating systems, we asked Daniel Mugnier, the Task Operating Agent, to share some of his thoughts on this 3-year project. Heat Decarbonization - What Role can Solar Thermal Play? Heat accounts for more than half of global final energy consumption. 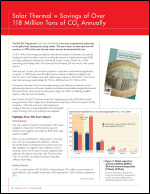 However, heat production remains heavily fossil-fuel based and is a significant contributor to CO2 emissions, accounting for 39% of total annual energy-related emissions globally. To achieve the ambitious targets of the Paris climate change agreement, heat decarbonization is a must. But what role can solar thermal play? The Drake Landing Solar Community in Okotoks, Alberta hit a new solar performance milestone record – 100% solar space heating for the 2015-2016 heating season. This is the first community in the world to accomplish this feat. The community of 52 energy efficient homes is heated by a solar district heating system combined with a borehole seasonal heat storage designed to store abundant solar energy underground during the sunny summer months and recover this heat for space heating during the cold winter months. IEA Solar Heating and Cooling Programme welcomes Slovakia as the first country from Eastern Europe to join the Programme. Participation by the Slovak Innovation and Energy Agency (SIEA) in the IEA SHC builds on collaboration by Slovakia in the Programme’s lighting retrofit work. In recent years, the population of Qatar has grown at an increased rate than was previously seen and so has carbon emissions. As the population has grown at a faster rate than previously seen and demand for resources that will result in further increases in the rate of carbon emissions. Considering the wider impacts of carbon emissions on our climate, it is vital to reduce these emissions using effective renewable solutions. June 2016. 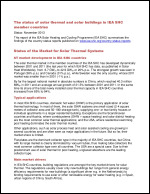 The International Energy Agency, Solar Heating and Cooling Programme (IEA SHC) released the 2016 edition of its report on the global status of the solar thermal heating and cooling market. As the 2014 solar thermal market felt the impact of slowing markets in China and Europe, the largest world markets, growth was seen in two important areas – large-scale solar thermal systems and solar heat in industrial processes. And, solar heating and cooling still remains by far the solar technology with the largest total capacity (435 GWth) compared to PV (227 GWth) and solar thermal power (5 GWth). 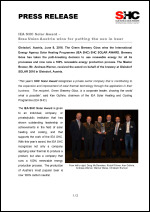 The Green Brewery Göss wins the International Energy Agency Solar Heating Programme (IEA SHC) SHC SOLAR AWARD. Brewery Göss has taken the path-breaking decision to use renewable energy for all its processes and now runs a 100% renewable energy production process. The Master Brewer, Mr. Andreas Werner, received the award on behalf of the brewery at Gleisdorf SOLAR 2016 in Gleisdorf, Austria. With 2016 underway, it’s important to stop for a moment and think about where solar thermal is headed in the short-term and how current work can support or be adjusted to keep pace with technological advances. 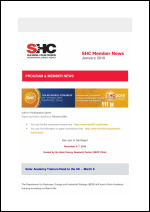 Several SHC Task Operating Agents have weighed in on trends in their areas of expertise. The IEA Solar Heating and Cooling Programme welcomes the International Solar Energy Society (ISES) as its newest Sponsor member. This development offers expanded opportunities for ISES members to participate in technical activities under the IEA SHC, and places ISES at the IEA SHC table as a member of its Executive Committee. 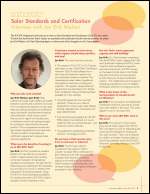 This is an update of the April 2009 Solar Update article. The objective of the 2009 article was to put in perspective the potential of often-cited nuclear and renewable alternatives to Greenhouse Gas (GHG) emitting fossil energy sources. 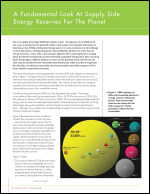 Its main conclusion was that although a mix of alternatives, including hydropower, biomass/biofuels, geothermal, ocean thermal energy conversion, waves, tides, wind and solar, appeared like a sound approach to bringing about the desired economically and environmentally sustainable energy future (akin to putting future energy eggs in different baskets), a review of their potential clearly showed that the solar resource dwarfed all other renewables (and fossil/nuclear alike) by orders of magnitude. And therefore, the desired economically and environmentally sustainable energy mix of the future should be essentially solar-based. In the recent past decades, Spain has pioneered two solar revolutions: mandatory inclusion of solar thermal in new and refurbished buildings and solar thermal electricity. The 2008 financial crisis deeply impact the industry and the future recovery and development will depend strongly on these and other adopted policies. 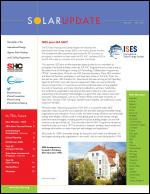 The IEA SHC Programme’s Solar Heat Worldwide is the most comprehensive publication on the global solar heating and cooling market. 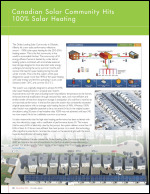 This year’s report includes data from 60 countries, or 95% of the solar thermal market and can be downloaded for free. Within the next 20 years the supply of fossil fuels, mainly oil and gas, will not be sufficient to provide for the world’s economies. Anticipating this shortage, the Dutch government policy focuses on a completely sustainable energy supply system by 2050. 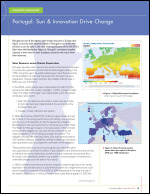 Renewable heat and heat storage will be key issues to achieve this goal. In parallel with its population and GDP growth, Turkey has been experiencing rapid demand growth in all segments of the energy sector for decades. Turkey is developing an integrated energy policy aimed at securing a reliable supply of energy, as well as achieving a low-carbon and environmentally sustainable future. Turkey also intends to promote employment and economic growth through its energy development. Solar energy plays a major role in Turkey’s renewable energy roadmap due to the fact that is geographically located the “solar band” region. New addition to SHC book series published by Wiley. This book aids designers in optimally using simulation tools for net-zero energy building design. 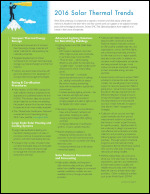 It presents advanced modeling techniques as well as in-depth case studies. 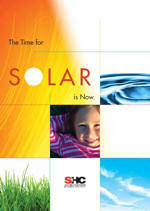 The IEA SHC Programme is publishing a book series covering a diverse array of solar heating and cooling topics. 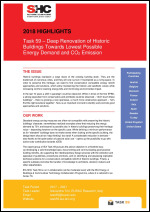 Modeling, Design, and Optimatization of Net-Zero Energy Buildings is the second book in this series. 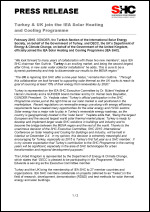 GÜNDER, the Turkish Section of the International Solar Energy Society, on behalf of the Government of Turkey, and DECC, the UK’s Department of Energy & Climate Change, on behalf of the Government of the United Kingdom, officially joined the IEA Solar Heating and Cooling Programme (IEA SHC). 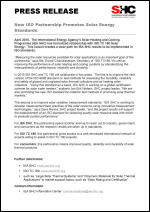 This report of the IEA Solar Heating and Cooling Programme (IEA SHC) summarises the findings of the country status reports published on www.iea-shc.org/country-status-reports. Solar heating and cooling (SHC) can provide low-carbon emission energy from solar resources that are widespread throughout the world. SHC describes a wide range of technologies, from mature domestic hot water heaters to those just entering the demonstration phase, such as solar thermally driven cooling. 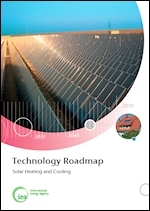 This roadmap envisages development and deployment of solar heating and cooling by 2050 to produce 16.5 EJ (4 583 TWhth; 394 Mtoe) solar heating annually, more than 16% of total final energy use for low temperature heat, and 1.5 EJ solar cooling, nearly 17% of total energy use for cooling by that time. By collaborating with others, the IEA SHC Programme is working to increase awareness of solar thermal energy‘s potential to contribute significantly to the future supply of energy worldwide. 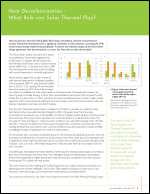 This report supports the awareness to create a Future Sustainable Energy System, based on R&D results from more than 30 years of international co-operation in the IEA Solar Heating Programme. 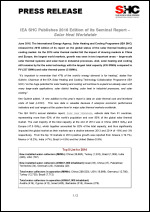 This report highlights the recent accomplishments of the IEA Solar Heating and Cooling Programme. Learn what your country and others are doing in the area of solar from the status of government policies, funding levels, R&D, technology advances, and commercial development. 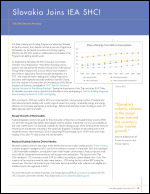 This latest edition begins with an overview of national activities and key trends followed by individual country reports with detailed information on national solar activities. 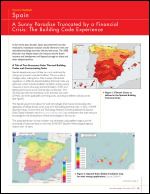 The eighth edition of this SHC document reports on the latest status of solar building technologies, funding levels, research, technology advances and commercial developments in 14 IEA countries. 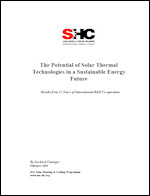 This report analyzes solar thermal collector data compiled by the SHC Programme. Formed in 1974 as an autonomous body within the Organization for Economic Cooperation and Development (OECD), the International Energy Agency (IEA) carries out a program of energy cooperation, including joint research and development of new and improved energy technologies. The power point presentation was prepared on the occasion of the 25th anniversary of the Establishment of the IEA Solar Heating and Cooling Agreement. Editor: S. Blum, International Planning Associates, Inc. 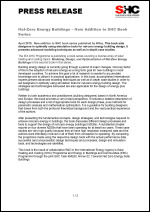 This updated edition outlines the national solar building technology activities in the member countries of the IEA Solar Heating and Cooling Programme since 1997. The country reports provide insights into the status of government policies, funding levels, research emphasis, technology advances, and commercial development. 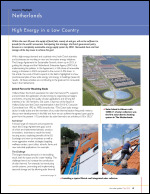 This brochure provides a glimpse of some of the activities and This report outlines the national solar building technology activities in the member countries of the IEA Solar Heating and Cooling Programme. 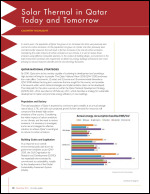 The country reports provide insights into the status of government policies, funding levels, research emphasis, technology advances, and commercial development. 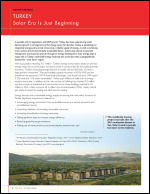 This brochure provides a glimpse of some of the activities and accomplishments of the long-term international collaboration of the IEA Solar Heating and Cooling Programme to create the solar buildings of the future. 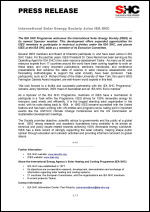 The IEA SHC Programme will wrap up its work on Solar Standards and Certification (Task 57) this month. 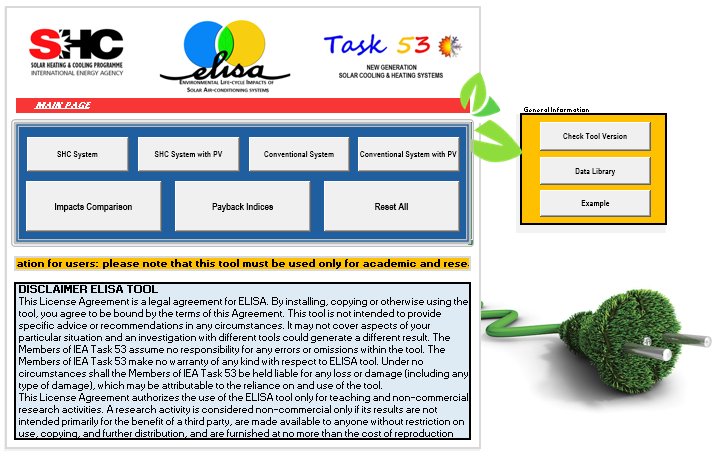 To learn first-hand of this Task’s impact on standards and certification of solar thermal systems, we asked Jan Erik Nielsen, the Task Operating Agent, to share some of his thoughts on this 3-year project.